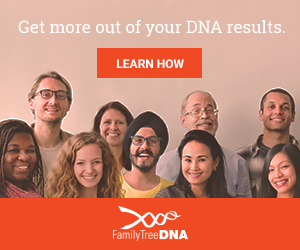 Simple and affordable DNA testing is now available that takes advantage of our own genetic material to connect with biological relatives, potentially solving decades-long searches where identifying information has been unavailable for whatever reason. Prepare to be moved by these stories, which demonstrate the amazing power of our own DNA. I continually add new stories to the top of this list, so check back occasionally. [If you have your own DNA success story that you'd like included in the list above, you are welcome to send me the link].